Treadwell caught one of two targets for seven yards during Sunday's 24-10 loss to the Bears. Treadwell (coach's decision) is inactive for Sunday's game at Detroit. 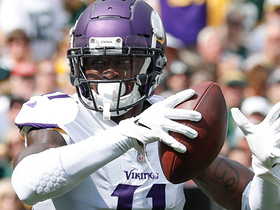 Analysis: Treadwell has been given every opportunity to establish a foothold behind Adam Thielen and Stefon Diggs in the Vikings' receiving corps. Since the team's Week 10 bye, though, Treadwell managed just seven catches (on 12 targets) for 42 yards and no touchdowns across five games, spurring coach Mike Zimmer to roll with Aldrick Robinson and Chad Beebe (who is returning from a four-game absence) behind the top duo. Treadwell failed to catch his lone target during Sunday's 41-17 win over the Dolphins. Analysis: Week 15 wasn't too kind to Treadwell, as he finished without a reception for the first time in 2018. Granted, Kirk Cousins only completed 14 passes, but depth receiver Aldrick Robinson was able to finish with two catches for 44 yards and a score despite playing seven fewer snaps than Treadwell. The third-year wideout will look to bounce back against the Lions in Week 16. Treadwell caught all three of his targets for 16 yards in Monday night's 21-7 loss to the Seahawks. Analysis: Treadwell, who notably has struggled with drops, at least caught everything thrown his way in Monday's poor offensive performance. While he's still gone four straight games with under 20 yards, the former first-round pick could perhaps regain some trust by continuing to haul in his spare looks. 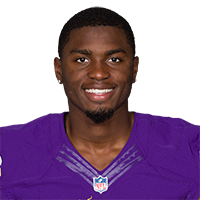 Treadwell had two receptions for 13 yards on two targets in Sunday's loss at New England. He played a season-low 22 snaps on offense and got less playing time than Aldrick Robinson (43 snaps). Analysis: It's possible that he may finally have lost out on the third-receiver role due to his frequent drops and misplays, but Vikings have kept him in the role for his blocking ability. Either way, he hasn't been more than a modest factor in the passing game. 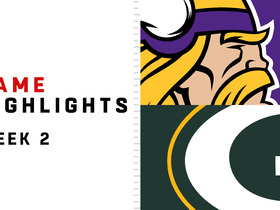 Treadwell secured one of three targets for six yards during Sunday's 27-20 victory over Green Bay. 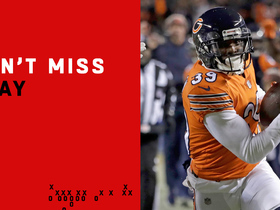 Treadwell had one reception for seven yards on three targets in Sunday's loss at Chicago. Analysis: Treadwell misplayed one catchable ball and another sent his way was picked off for an interception. His 29 snaps drew even with Chad Beebe's allotment, a sign that the Vikings could be reducing Treadwell's role. Treadwell had two receptions for 37 yards on two targets in Sunday's win over Detroit. Analysis: Treadwell got a higher percentage of playing time than usual with Stefon Diggs sidelined with a rib injury, playing 41 of the offense's 49 snaps, but it didn't translate into more production. Treadwell actually had his fewest targets since Week 3. The Vikings gave more targets to Chad Beebe (three) and Aldrick Robinson (three) with Diggs out, showing Treadwell has limited upside. Treadwell said he's ready to handle a larger role if Stefon Diggs (ribs) can't play Sunday against the Lions, Chris Tomasson of the St. Paul Pioneer Press reports. Chicago Bears linebacker Eddie Jackson leads symphonic celebration after a pick-six touchdown. New Orleans Saints cornerback Marshon Lattimore scoops up Minnesota Vikings wide receiver Adam Thielen's fumble for a 54-yard run. 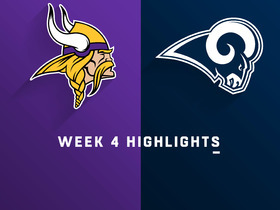 The Minnesota Vikings take on the Los Angeles Rams in Week 4 of 2018. The Minnesota Vikings take on the Green Bay Packers in Week 2 of 2018. 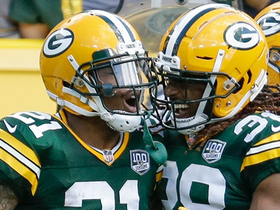 Green Bay Packers safety Ha Ha Clinton-Dix intercepts Minnesota Vikings quarterback Kirk Cousins and returns the ball 24 yards. Minnesota Vikings quarterback Kirk Cousins finds wide receiver Laquon Treadwell for a 14-yard touchdown pass. 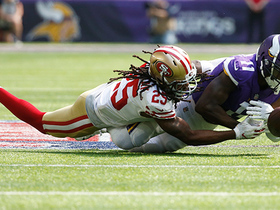 San Francisco 49ers cornerback Richard Sherman breaks up a pass intended for Minnesota Vikings wide receiver Laquon Treadwell and jaws at him afterward. 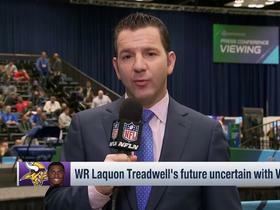 NFL Network Insider Ian Rapoport reports that Minnesota Vikings wide receiver Laquon Treadwell's future with the team is in doubt after not making much of an impact early in his career. 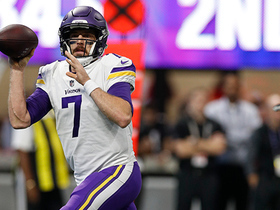 Minnesota Vikings quarterback Case Keenum stands in the pocket and connects with wide receiver Laquon Treadwell for a first down. 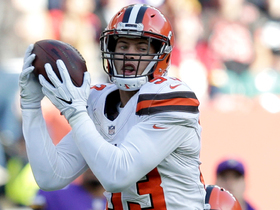 Cleveland Browns linebacker Joe Schobert comes up with a huge interception on the Minnesota Vikings opening drive.